In a big country, sometimes it’s best to travel small. 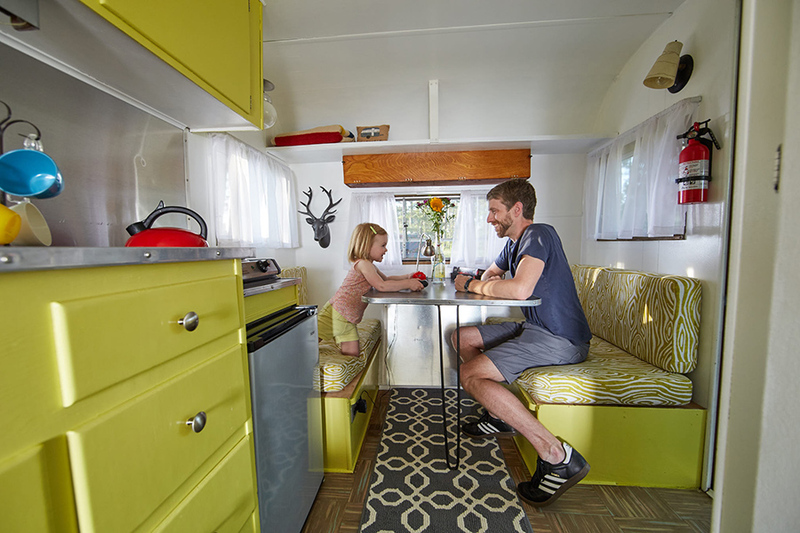 Route Fifty Campers lets you take it all in tow. 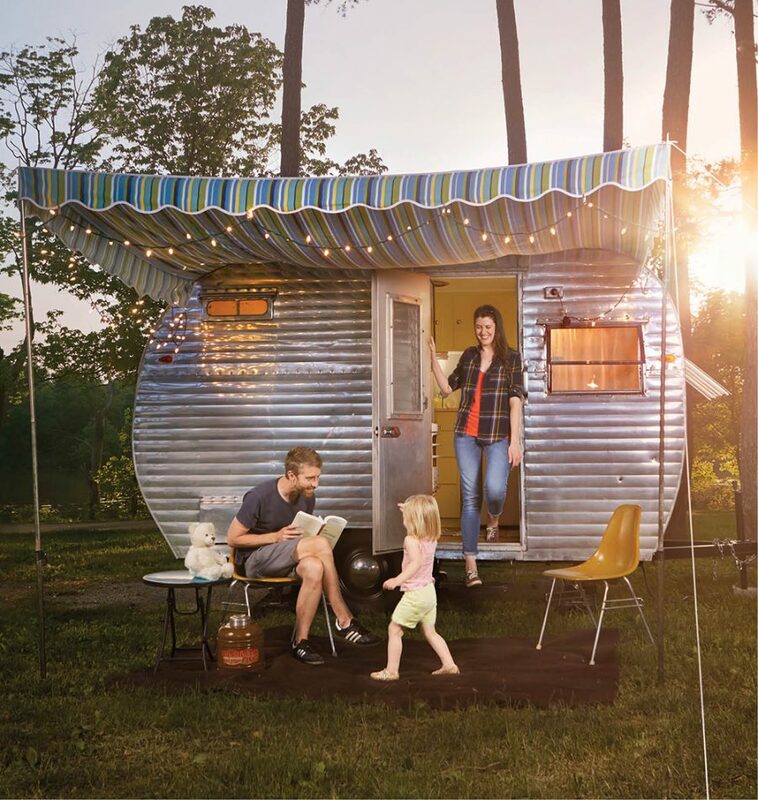 Debbie Immesoete’s little trailers get people close to nature, lifting them off the ground and into a nostalgic frame of mind. Route Fifty Campers has rented this 1958, 14-foot-long Fan camper since August 2014 and added a 15-foot-long 1969 Aristocrat Lo-Liner to its fleet this spring. (Both sleep four.) Immesoete’s clients, she says, range “from younger people who are artsy and hip and like the whole throwback look to people who want to get one but want to see if they like it first.” But really: What’s not to like? 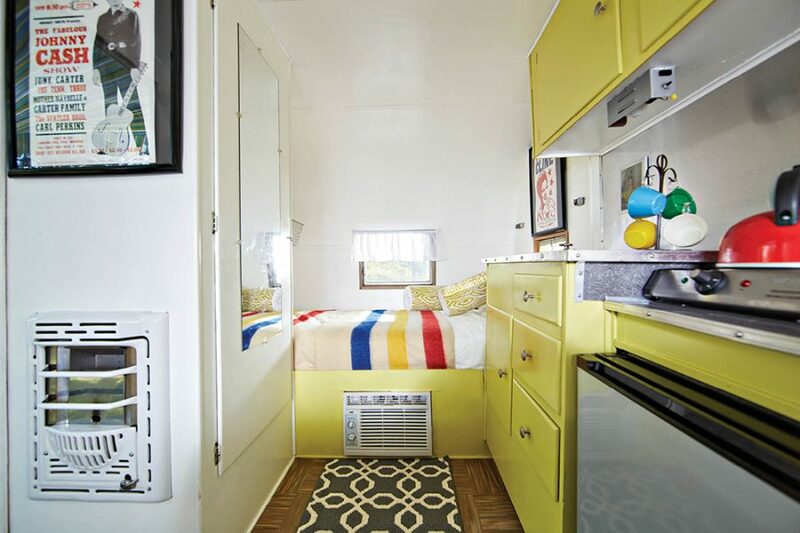 Renters can tow it themselves or have the (non-smoking) camper delivered to a campsite. Destinations have included Winton Woods, Miami Whitewater Forest, Caesar Creek, East Fork, and Big Bone Lick. The Fan’s kitchen is equipped with dishes, utensils, glassware, pots and pans, a two-burner stovetop, a new refrigerator and cabinets, plus baskets and cubbies for storage. The Fan has electric heat and air-conditioning, but no bathroom or hot water. It has been mechanically restored and was decorated by Immesoete, who’s also a graphic designer. Route Fifty Campers is the only business of its kind in the region. 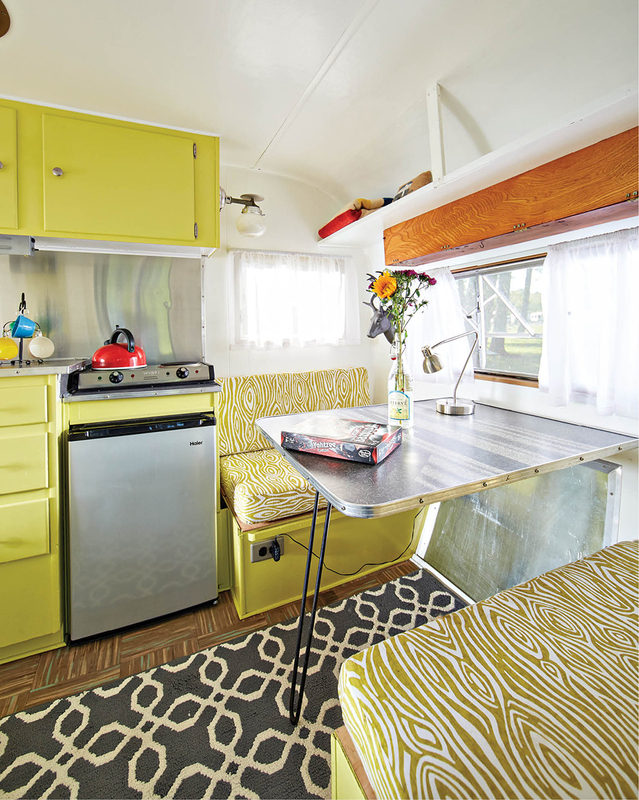 Vintage rental trailers are more common out west, where the weather generally helps them last longer.